Tweens need downtime in vacation time! Mami goes on a horse adventure with the tweens! Make the trees and nature fun! Theme: Happy husband and kids while on vacation- Dios Mio– what a challenge! A few years back my husband watched the Ken Burns special on PBS “America’s National Parks” and then ‘silly me’ – I bought him a National Geographic book on the National Parks- it has been a blessing and curse wrapped into one! His vacation dream soon became visiting one National Park per year and so we save and plan, and plan and save for monthsss leading up to mid June or so when its time to take off. Sounds like an amazing adventure right? Well drop in the two tweens better known as our twin daughters- and you have your work cut out in pleasing both sides. Since I strive for driving most of our experiences to be culturally relevant learning opportunities in some way or another, these vacations present their challenges as well as opportunities. In 2010 I learned mucho from our Yellowstone and Grand Teton National Park adventure when the girls were only 8. You can take them on hikes and push them physically, but you have to have your share of rewards planned and fun experiences as well. You also MUST involve them in the planning process. Take out a map and show them where you’re going. Research, research and research and then plan out fun activities just for kids sprinkled into your more adult interests. 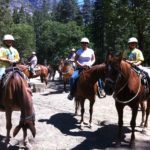 So when we embarked on our California adventure to visit Sequoia National Park and Yosemite- I was much better prepared than the previous year. 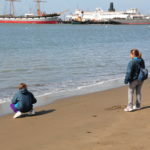 For starters, we initiated the trip in a major city (San Francisco in this case) for two days and focused on very kid-friendly outings: visiting the Wharf, enjoying ice cream (and mucho chocolate!) at Ghiradellis, a dinner adventure to China town and letting them shop for a terrific stuffed animal (their favorite thing on earth) that will accompany them throughout the trip. Funny thing about this age is that they’re not little children that you can completely control and they’re not teens either- hence the term “tween”. But to many Latina moms, this isn’t such a clear understanding because our mothers and ‘Abuelas’ engrained in our minds that you must keep your children ‘babies’ for as long as possible! So I use vacations as my bonding time to try and keep them little while allowing them to express themselves and learn new things as well. After San Francisco we moved on to the “park series” of our California adventure- the moment where we shift from an easier city situation to maintaining them entertained and physically active… NO ES FACIL!!! The occasional bribe for ice cream and potentially another stuffed animal does help- but I’m trying to get them to WANT to go on these excursions. I must be loca! So I compromise with my husband- we work together to choose hikes and climbs that are manageable for the kids while interesting for us. The National Park Foundation offers some terrific ranger programs at the parks that help you achieve this balance. The Junior Ranger program and certification where they earn a patch after completing a booklet is fantastic and more importantly- age appropriate. So our first few days in Sequoia National Park were about completing the project, climbing, listening to some nice Ranger talks but also about play time and rest time. I asked my girls along the way “what would you like to do?” and often I had planned our days with a balance on both sides. I don’t always win – like when they just break down and whine – but overall my husband and I introduced them to an amazing natural world that hopefully will open their imaginations and minds to new experiences. Along the way we call our “Abuelos”- give them daily updates and try to continue speaking some Español so we don’t’ forget everything! While I enjoy theme parks and organized entertainment, I truly have seen the value in exposing our children to ‘all things natural’ at this early age. We hope that our tweens will remember this time fondly and continue on a path of exploration and adventure. Of course the most amazing part of visiting the National Parks and exposing young children is the scenery and disconnection from everything. But my actual favorite “gift” from the Parks is the amount of diversity you automatically expose your children to. Throughout our trip my chicas asked me about countless language and culture-related questions simply based on the number of languages they heard and types of people and families they saw. That was wonderful and broadened our experience further. And by the way, I was happy to see more Latino and multicultural families in the Parks exposing their children to the great gifts of our nation- I was so proud. Check out the American Latino Heritage Fund for special National Park learning opportunities- http://bit.ly/HPKNZT. Please share your summer adventures. 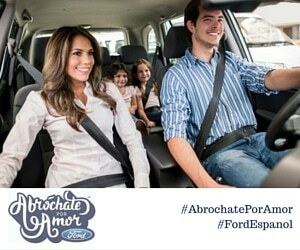 A donde van? Where are you headed? Perhaps it’s a simple ‘staycation’ where you explore your local community. What state or National Parks do you have in your backyard? Have you thought about checking them out? Simple online research will yield tons of ideas. Stay tuned for updates from Los Tweens’ participation in the American Latino Heritage National Park Roadtrip. Follow @AmericanLatino on Twitter and Facebook. 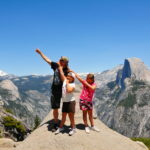 This entry was posted in Travel and tagged American Latino Heritage, kids, National Park Foundation, National Parks, padres, parents, summer travel, traveling with kids, Tweens. Bookmark the permalink. Hi Cristy, You have posted a nice post for trip point of view. I appreciate your efforts and return thanks to you. Their are many park and place to see but my favorite is kings canyon national park.